Water is the most vital resource for life on Earth; no living thing exists without it. 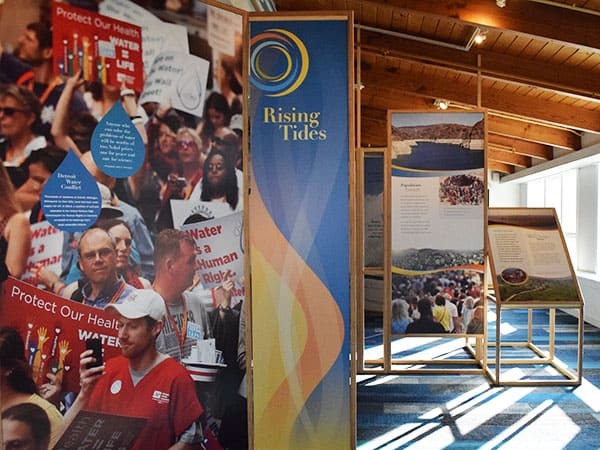 H2O Today examines the diversity and challenges of global water sources and promotes conversation, creativity and innovation through art, science and technology. On exhibit through November 11, 2019. H2O Today dives into what it means to live on a planet where 71 percent of the surface is covered in water, yet less than 3 percent is drinkable. It explores the science of water from the hydrological cycle, weather and climate to its physical power as an architect and sculptor of landscape. The exhibition highlights its criticality in daily life worldwide through water power, industry, agriculture and home use. 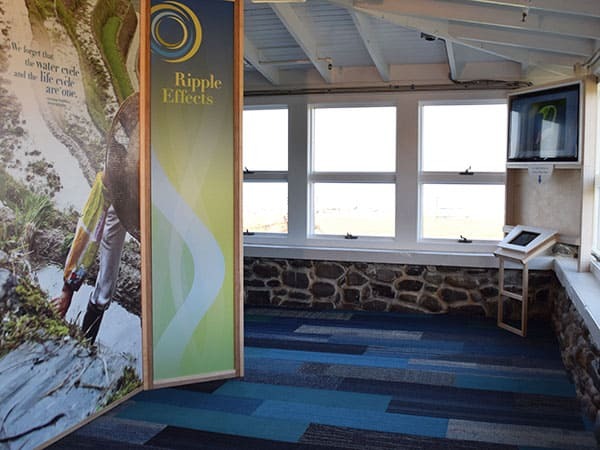 Through the five modules listed below, and a series of interactive stations, you will discover the affects climate change, population growth and pollution have on the water cycle and weather patterns as well as the creative ways people around the world are tackling the challenges of water shortages and pollution. Viewed from space, Earth looks like a water planet. It covers more than two-thirds of our planet. It is essential to all living things. Find out how it shapes the environment, and it shapes how we live. Water shapes the ways we live, work, relax, create, even worship. 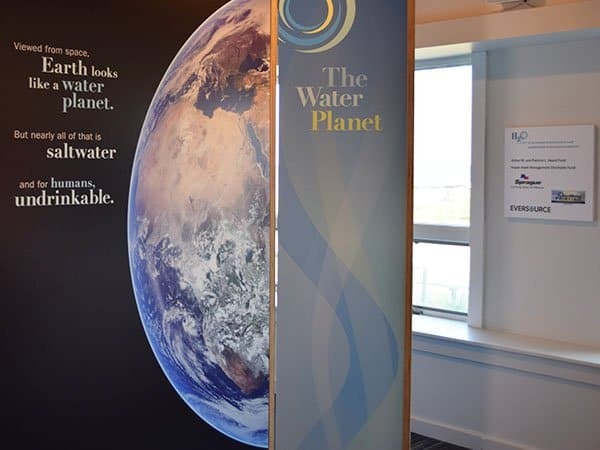 Discover how throughout the world, people are inspired, challenged, enriched, and rejuvenated by their connection to water. We take water and put it to work, but overuse and pollution of water can leave an insufficient amount of usable water. Learn about the more than 2,200 watersheds of all shapes and sizes in the United States. Earth’s water is finite, and threatened. Just as deeply as water connects us all, its access, control, and availability can cause deep divides. Learn how we must protect water’s purity through careful stewardship. Discover how through innovative partnerships we are raising awareness and pushing the conversation in new directions—all in hopes of achieving sustainable solutions for future life on this planet. 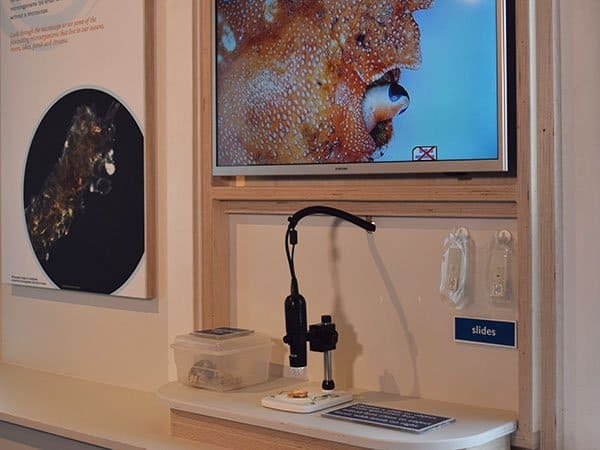 Take a close look at water under the microscope, share your water story on the community board, pump water at a treadle pump like those used by small farmers world-wide, and more. 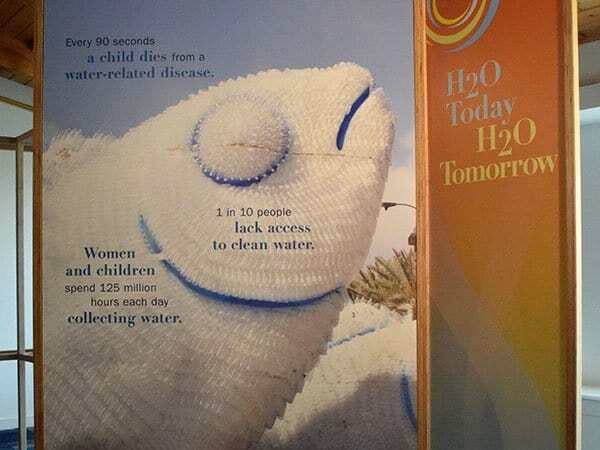 H20 Today is organized by SITES. It was adapted from an exhibition organized by the American Museum of Natural History in New York City and the Science Museum of Minnesota in St. Paul, in collaboration with Great Lakes Science Center in Cleveland; The Field Museum in Chicago; Instituto Sangari in Sao Paulo; National Museum of Australia in Canberra; Royal Ontario Museum in Toronto, Canada; San Diego Natural History Museum; and Science Centre Singapore with PUB Singapore. 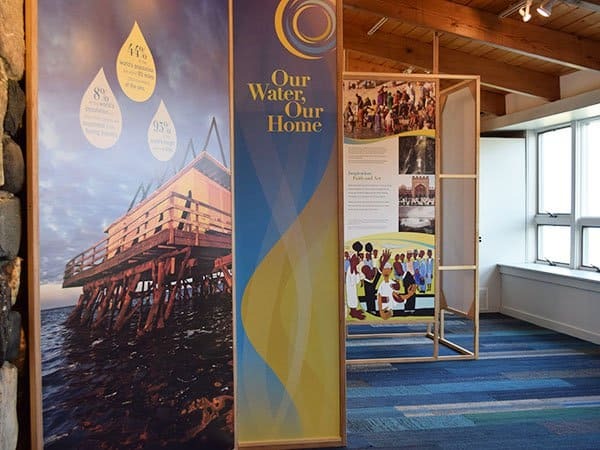 Special thanks to the Arthur M. and Patricia L. Heard Fund, Eversource, the Impax Asset Management Charitable Fund, RiverWorks Printing, and Sprague Energy for helping us bring H2O Today to the Seacoast Science Center.